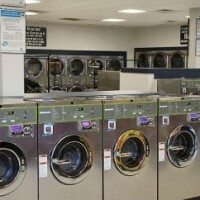 ACE Commercial Laundry Equipment has built a reputation for supplying customers with the right equipment for the right location. 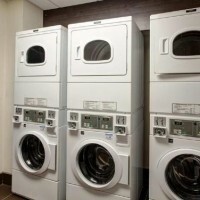 We have nearly 20 years of experience in California marketplace & when it comes to assisting customers with replacing equipment- from large capacity washers to coin-op apartment washers, We’ve got it all. We are an authorized Huebsch®, Commercial Laundry distributor in Southern California (servicing Orange, Los Angeles, San Gabriel & San Fernando Valleys, Riverside, San Bernardino Counties- including the High deserts) and our commercial washers & dryers are not only specifically engineered for laundry operators who demand hi performance out of their equipment- but state of the art features too. 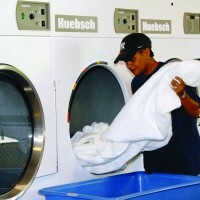 From our beginnings as Huebsch Manufacturing Co. in 1907, through our time as Huebsch Originators, the world’s leading tumble dryer manufacturer, and into today, Huebsch® has always manufactured durable commercial laundry equipment engineered for efficiency, reliability and optimal performance. Throughout more than 100 years in the commercial laundry business, our focus has been to create products that make your business as profitable and easy to manage as possible. 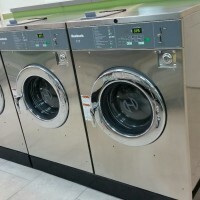 To accomplish our goal, we produce some of the most efficient and cost-effective commercial washers and industrial tumble dryers in the world. With durable features like plate steel frames and reliable inverter drives, Huebsch laundry equipment is built to last. 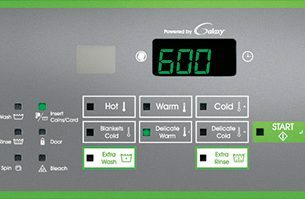 And with efficient, patented innovations like Galaxy™ Controls and eBoost™ technology, it’s hard-wired to maximize your revenue and minimize your costs. Our commitment to customer success extends even beyond world-class products. As part of Alliance Laundry Systems, the leading global commercial laundry equipment manufacturer, we’re able to offer services that our competitors cannot match. Our industry-leading network of knowledgeable distributors and service professionals are here to help you with every area of your business, including laundry design, Genuine Parts and laundry-focused, in-house financing. That’s the driving force behind every Huebsch product. With 31 registered patents, we’re continuously changing and improving our products and setting new standards in the laundry industry. Bring a dramatic appearance to your environment with our modern trim package. 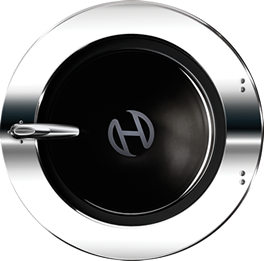 Polished chrome door handles now come standard on all Huebsch cabinet washer extractors, and Halo door rings and stainless steel tumbler fronts are available as on‑trend upgrades. The perfect complements to our new control panel designs, these striking features are tested to the highest standards of quality and durability. 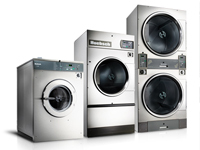 Huebsch commercial laundry equipment is renowned for industry-leading durability, performance and efficiency. We begin with the toughest, most rugged materials used in the industry. Those materials are then expertly crafted into virtually unbreakable laundry workhorses at our world-class facility in Ripon, Wisconsin. They’re infused with the most advanced innovations in the business. 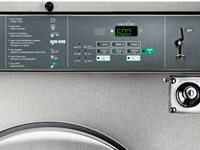 Huebsch backs all products with an industry-leading warranty and global support network of true laundry experts. No matter your individual taste, you’ll discover creative expression with our control panel overlays in three refined new designs. Capture your personality with the refreshing look of Cityscape, the daring color of Citron or the traditional appeal of Slate. Slate is standard on Huebsch equipment with Galaxy™ 600 controls, while Cityscape and Citron offer exciting upgrades. Select the design that suits you best, and impress even the most discriminating designers – not to mention your customers. Huebsch Laundry is The Answer!